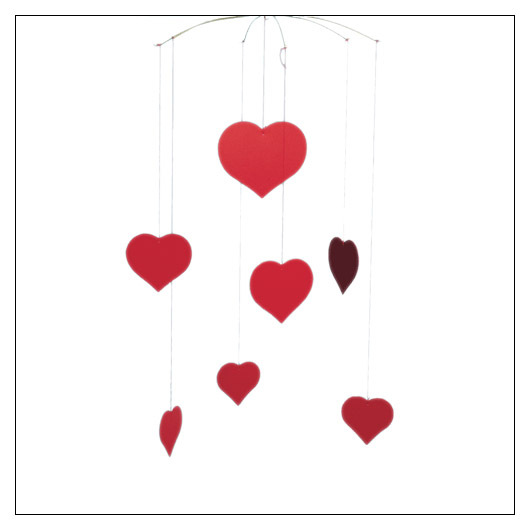 Happy Hearts Mobile (msfmhappyhearts) at Pure Design Kids / Toys / Flensted Mobiles ::: Kids' Toys, Furniture and More at Pure Design Kids! Make her heart swell! Watch the bright red hearts sway and move to the breeze. You don't even need an apple a day, here are your happy hearts!